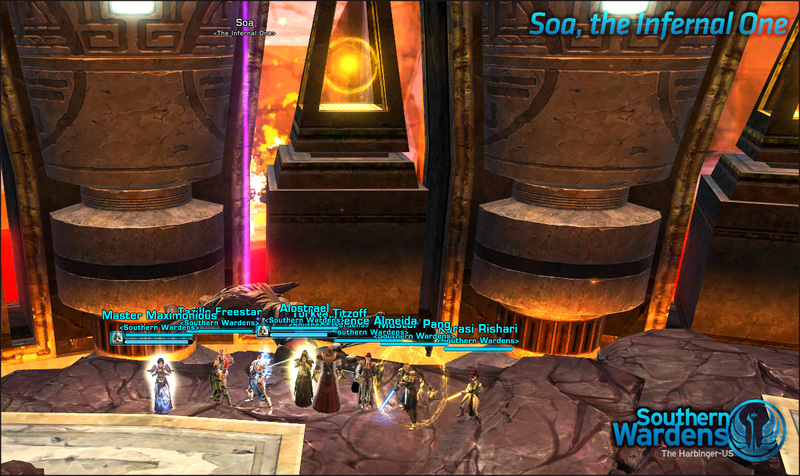 Soa Dead, EV Normal Clear. We missed our first raid of the week thanks to a rescheduled downtime, and began last night eager to make up for lost time. The first four bosses dropped like ninepins, and we started the last hour of the raid in the zone and ready to kick Soa’s face in. After a few learning wipes, to show the encounter to people who hadn’t seen him previously, we pulled it all together on the last attempt of the night with flawless execution from the entire team, and downed Soa with a clean kill that was never in doubt. Big thanks to all involved for their great work!